When you are dealing with the hot Texas heat, having a roof that reflects sunlight and keeps a building cool is definitely a plus. Well, that’s just one of the many benefits of installing a metal roof. Here at R.B.T Construction Roofing Division, we’ll take care of your commercial metal roof needs from beginning to end. So when you’re looking for metal roofing in Texarkana, TX call the experts you can trust at 903-691-0931. With so many roofing options out there you may be asking yourself why should I choose a metal roof? It can be a bit daunting to cipher through all of your options. Luckily your hometown experts know commercial roofs like the back of their hands and would be happy to talk with you about all your different options. Durability– As far as commercial roofs go a metal roof is by far one of the best options for durability and longevity. The average metal roof can last as long as 50 years, which could easily outlast the very building it’s protecting. Metal roofs are also incredibly durable taking on intense wind and never buckling. Fire resistant- You know the great thing about metal? It’s really hard to set on fire. Mitigating the chance that a freak lightning strike will burn your business down. Eco-friendly- With a commercial metal roof your building can absorb the warmth of the sun during those cold dreary winters. Reducing how hard your furnace has to work, and saving you energy i.e. money. Fast- When it comes to a fast installation a metal roof is definitely at the top of the pack. The experts at Texarkana, TX will make sure to install your new metal roof quickly, and more importantly correctly. 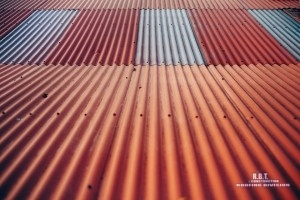 With all these reasons for getting a metal roof, you might begin to ask yourself why shouldn’t you get one. So when you’re looking for your trusted hometown professionals to install metal roofing in Texarkana, TX call the professionals you can trust at 903-691-0931. Here at R.B.T Construction Roofing Division, we pride ourselves on honesty, integrity, and the quality of our workmanship. Updated on August 30, 2018 at 10:53 am by R.B.T. Construction Roofing Division.